In case you hadn't noticed, it's that time of the year again! Christmas songs are playing in supermarkets and every ad on TV seems to be for the latest toy craze. I'd like to say the streets are blanketed in a covering of crisp white snow but we all know it's been grey and rainy for weeks but hey, isn't that the true Christmas weather of the West of Scotland? Like most families with small kids one of the important dates in the festive calendar is the visit to Santa. This year we visited the big guy at Hamleys in the St Enoch Centre in Glasgow. With the weather as miserable as it could possibly be the first real benefit was the attached car park. It's so much easier shepherding a five year old and a one year old in a pushchair from an indoor car park than trying to organise them in the street and march them through the rain. We even left our heavy jackets at home so we looked our best for Mr Claus. 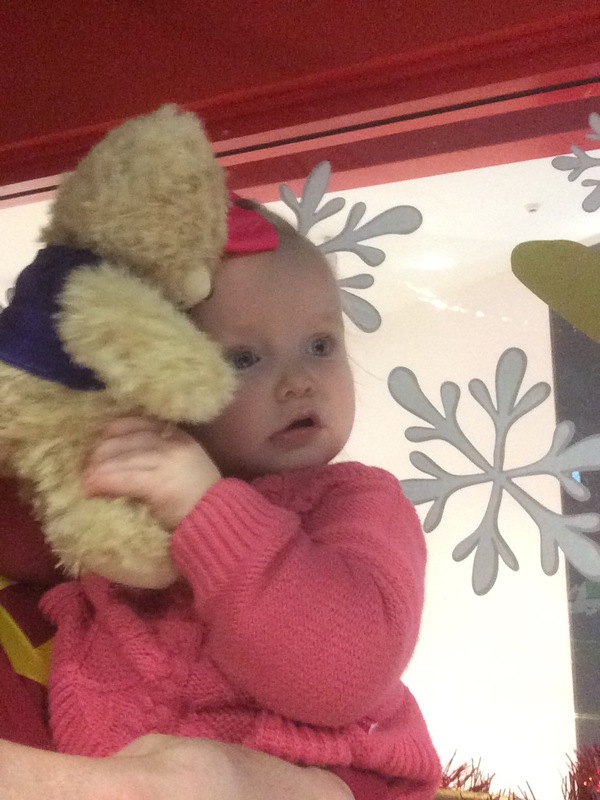 'I met Father Christmas at Hamleys!' is an hour long experience, which begins when two of Santa's elves pick up the children and take them to Santa's living room. Blondie Boy was so impressed that he not only got to meet the real Santa but also got to meet real elves too! The children sang songs with the elves and then had some dinner together. After dinner the children finally met the main man! Santa read them the poem 'Twas the night before Christmas', they played a game of 'Musical Snowmen' and then the elves helped them prepare the all important lists. Santa met them all individually, talked through their lists and posed for pictures. Each child received a goodie bag as a gift from Santa, the contents of which got played with immediately! After meeting Santa the elves took the children out into the St Enoch Centre, where they used their magic to make it snow indoors! 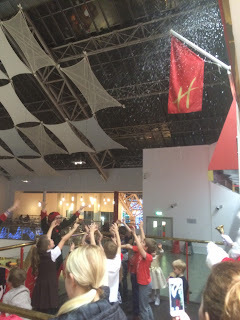 The whole evening at Hamlets in the St Enoch Centre was magical and the children loved it. The 'I met Father Christmas at Hamleys' experience costs £25 a child, includes everything listed above and must be booked in advance. You can find more information about festive events at the St Enoch centre here. Let's be friends! Find me here: Transatlantic Blonde was invited to visit with Santa free of charge but all magical experiences are our own.